One product that’s remarkable for its transformative assistive qualities is desktop speech recognition software. With the Easter break soon coming to an end, there are few students who excitedly await the inevitable return to school, college or university. The start of a new term can be an especially anxious time for students who have special education needs (SEN) like dyslexia, mindful that it can often hamper their ability to share their ideas, knowledge and enthusiasm for a subject when reading or writing about it in or outside of the classroom. Reading is of course a skill which we all take for granted and it forms an integral part of education and learning, not just throughout education, but throughout our entire lives. Of all the learning difficulties facing people with dyslexia, reading difficulties are amongst the most prominent. The inability to read effectively and efficiently can potentially have an adverse educational and psychological effect on this group and possibly negatively impact their engagement with education. Through dedicated study and research, great advances have been made in understanding dyslexia, how it affects individuals and what needs to be done to provide support for them from an early age. For many students with dyslexia, the increasing presence of PCs in classrooms provides a consistently available platform for assistive products to be deployed to support them. Assistive aids like document readers, screen readers and speech recognition technology enable students who have dyslexia to enjoy all of the information sharing, communication and publishing offered by today’s PCs, laptops and other connected devices, more equally, alongside other students. One product that’s remarkable for its transformative assistive qualities is desktop speech recognition software. Although speech recognition on PCs is not a new concept, its accuracy and ease of use has improved dramatically in the last few years, enabling quicker and easier user adoption. Speech recognition has become ubiquitous outside the classroom and can be found in products as diverse as Smartphones, Smart TVs, in cars and in healthcare applications and is a core feature in the growing number of digital assistants. For many years, though, people from all walks of life have used desktop speech solutions like Dragon for the PC or Mac to be more productive, save time and capture their ideas at the speed of thought at work and now this is within reach of every student and classroom. Running almost concurrent with the development leaps that have been made to speech recognition software, are the improvements that have been made to the average PC. Not only are they more powerful than before, advances in processors and memory means they are better specified to allow users to effortlessly exploit speech recognition’s considerable performance. 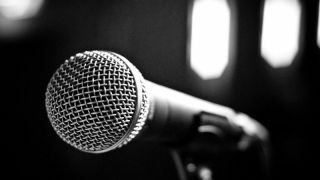 Today, that performance is characterised by accuracy rates of 99 per cent and the ability to transcribe at up to 160 words per minute, as offered by some speech recognition products. Converting thoughts and capturing them is now easier and quicker than ever before. Speech recognition’s trump card for all users – whether they are affected by dyslexia or not – is its ease of use. Talking to a PC or Mac is for many far easier – and a more fluid and natural process – than typing and using the keyboard and mouse. For many students, with or without assistive needs, the keyboard is a barrier that inhibits thoughts and ideas – which would flow eloquently when spoken – from being documented. They often end up lost through the process of typing. By removing the barrier, frustration is quickly turned into accomplishment and students can focus on their thoughts and get them on paper simply by speaking. Less time spent typing leaves more time for research, learning about a subject or solving a problem. Some desktop speech recognition solutions have been developed to work seamlessly with Microsoft Office applications, so in addition to creating home or coursework in Word, students can prepare presentations in PowerPoint, use Excel to help with tasks that involve budgeting or tracking activities and even use Outlook to write and send emails. Some also work with Gmail and Hotmail, to ensure that it’s easy for students to stay in touch and connected with their friends when they’re away from school. Of course, with the internet so central to education, today searches can also be conducted using speech via popular web browsers, including Windows Internet Explorer. Perhaps one of the most valuable functions that speech recognition offers users, with dyslexia in particular, is that it also offers the ability to read text aloud. This makes it far easier for students to identify errors and correct their work quickly, to ensure that they’re submitting work for review that’s free from the spelling or grammar errors that used to detract from the quality of their written work in the past. Even web content can be read aloud, making online learning and knowledge gathering simpler and more rewarding. Powerful testimonies like these are quite rightly justified, given that speech recognition closes the digital divide, in order to give students of all abilities an equal opportunity to succeed both in education, and in life.